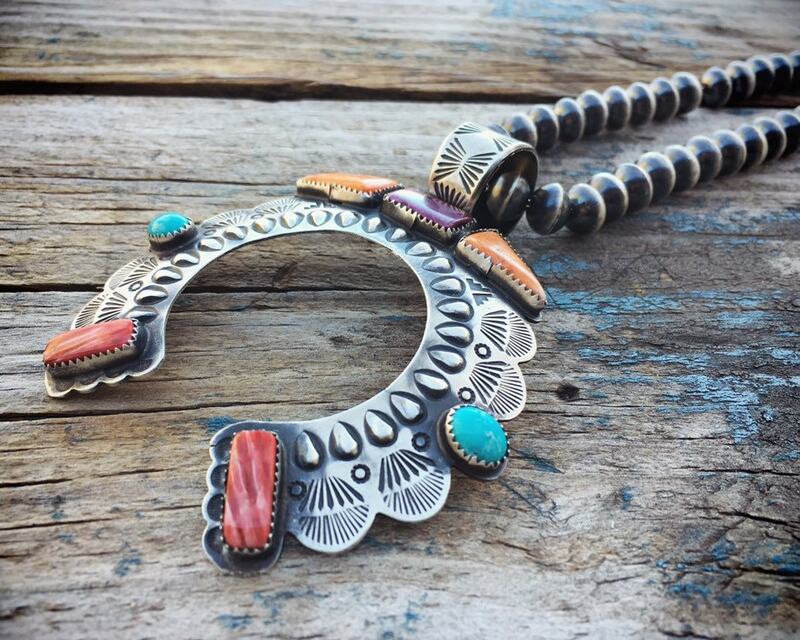 1) The silver bead necklace is made up of rondelle shaped beads in a style that is referred to as Navajo Pearls. 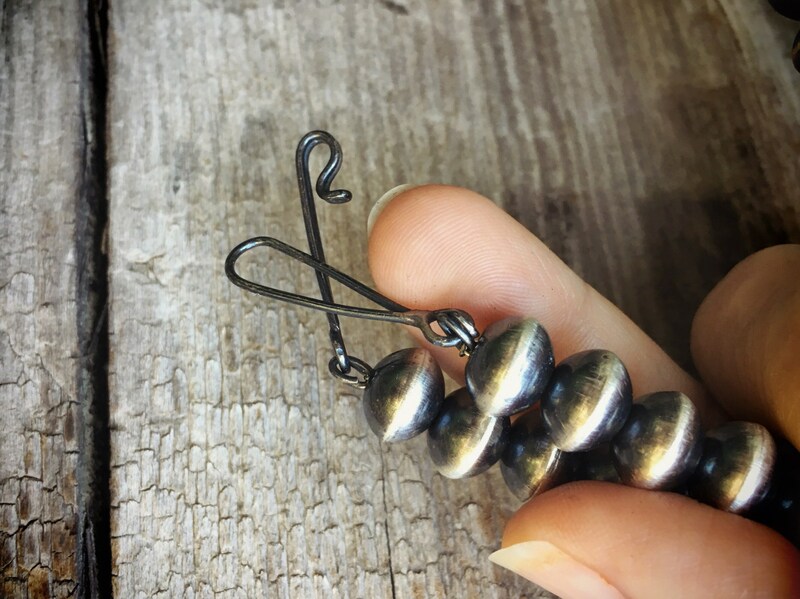 These simple necklaces are lovely when worn alone yet so versatile as they pair perfectly with pendants, such as najas or others having a shepherd's hook or large bail that can slip over the clasp and beads. 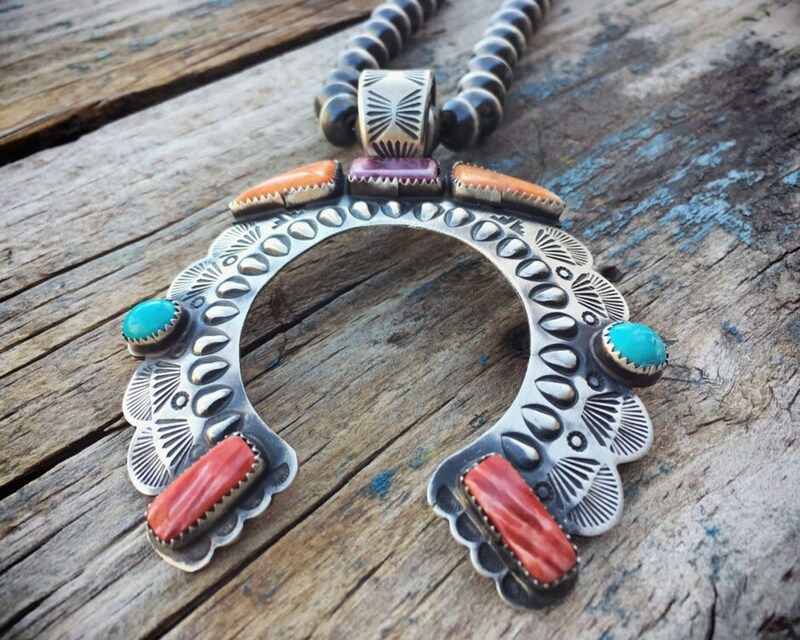 Together with a naja, the beads have much the same impact as a squash blossom necklace yet without the weight and expense. The beaded necklace is 20-3/4" long end to end. The silver wire has stretched with time, leaving a gap of about 1/2". 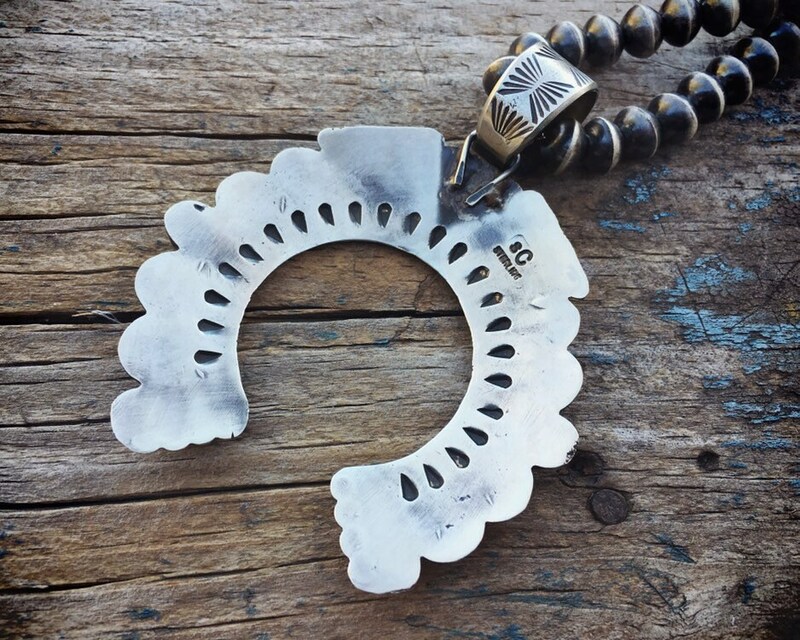 It also has a most unusual clasp, which we can tell was all hand made, with an extra long hook and eye. 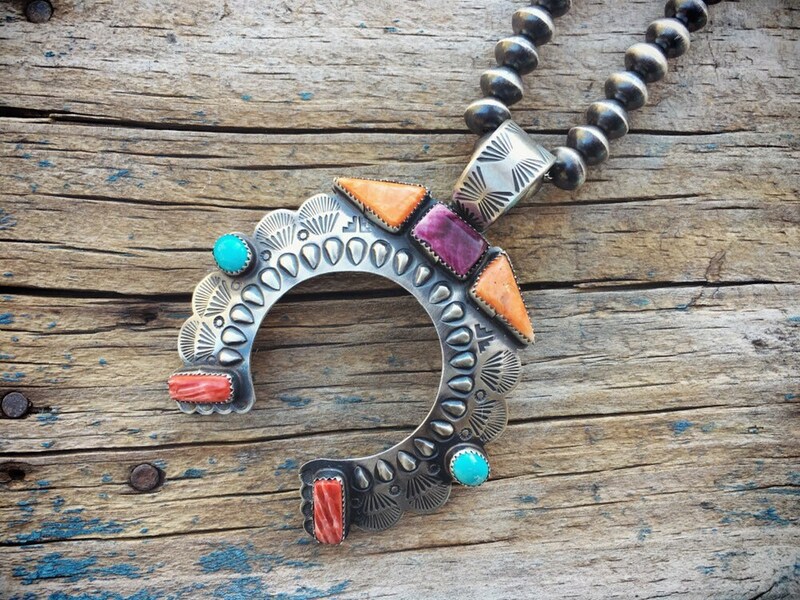 2) This sterling silver naja features beautiful blue turquoise combined with three colors of spiny oyster: orange, purple, and red. The naja form was brought to the New World from Spain and Morocco and adopted by the Navajo and other Native Americans. 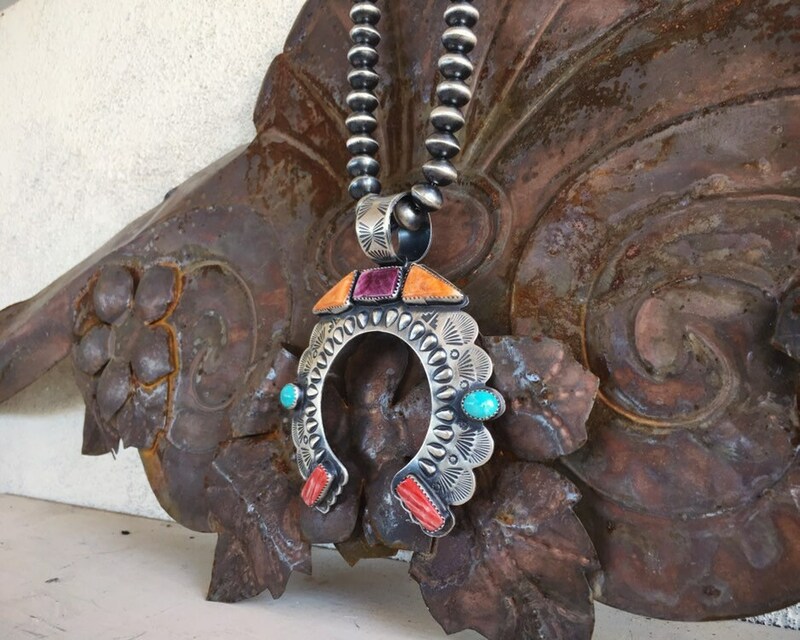 This naja carries the hallmark SC for Navajo Shawn Cayatineto. It is a nice medium-large size at 3-1/8" wide by 3" tall not including the bale and closer to 3-7/8". 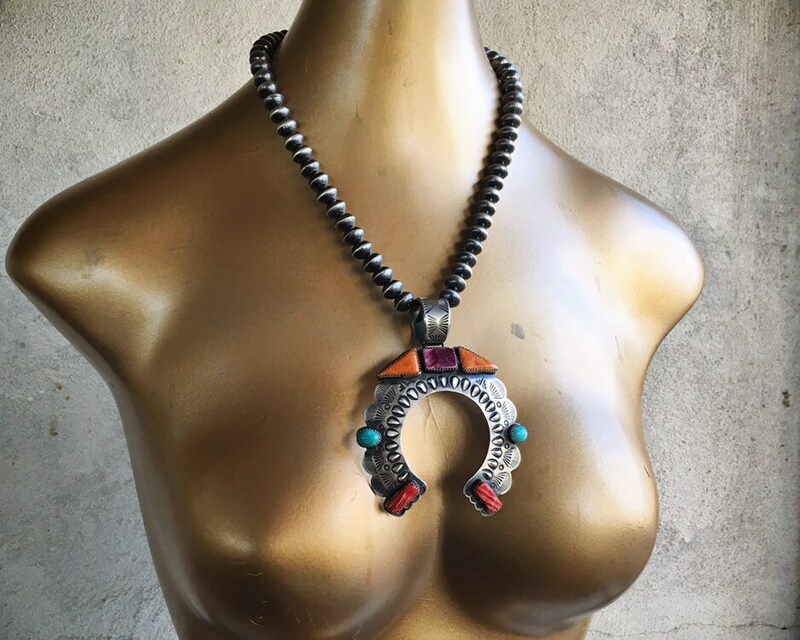 The naja is on a wide bale, which goes over the hook and silver beads of the necklace--easy to take on and off to use with other beaded necklaces. 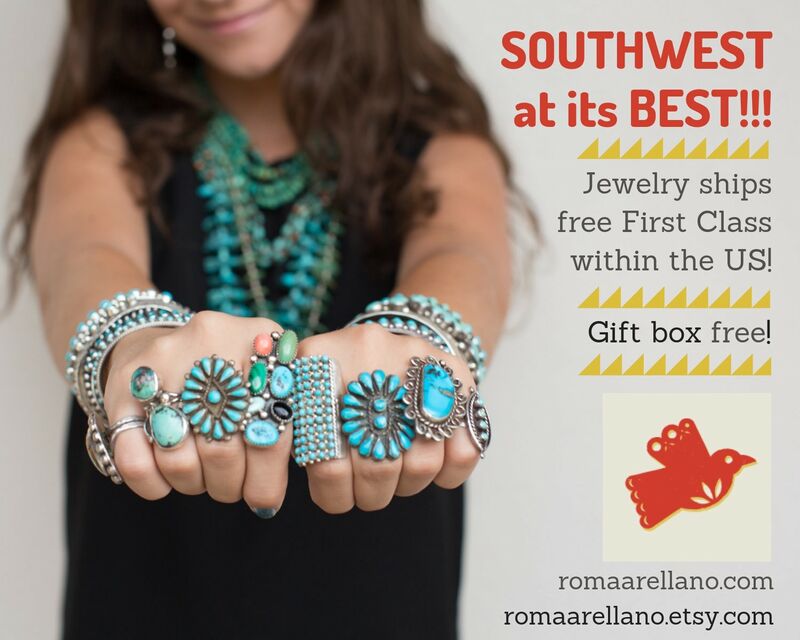 Beautiful authentic Native American jewelry. 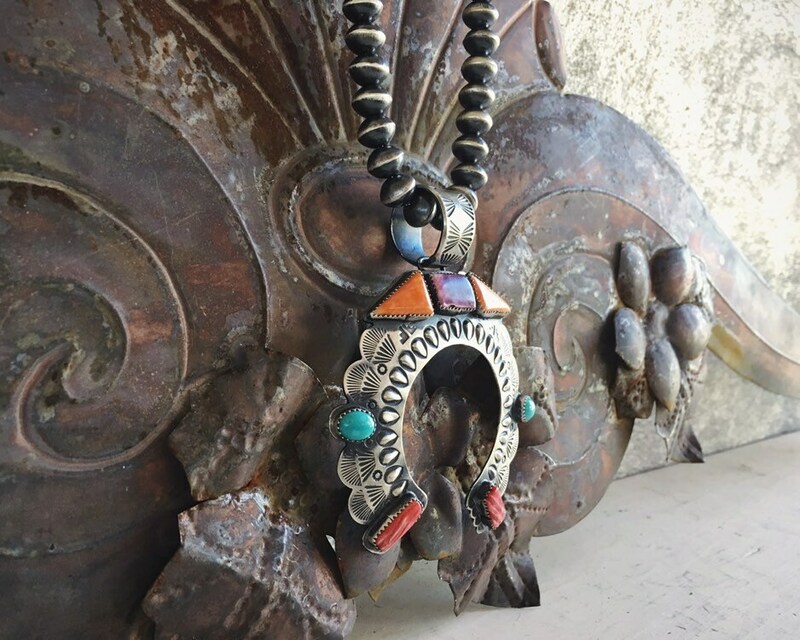 Beautiful multicolor pendant and paired with my Navajo pearls looks really cool! Great Find! Thank You.